In the early 1990s new DF4B class diesel-electrics displaced the older BJ class hydraulics from express passenger duties on the main lines radiating from Beijing. Some of the BJs found new employment on the secondary line from Miyun to Chengde where they replaced QJ class 2-10-2s on freight duties. 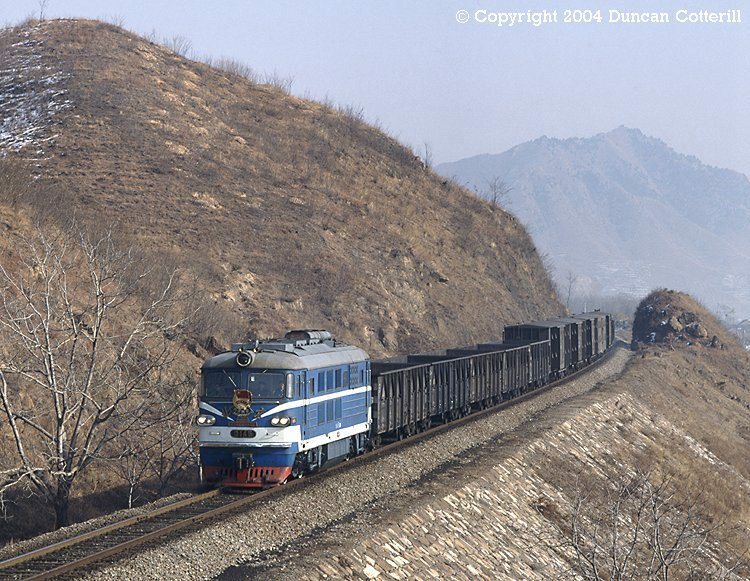 BJ 3145 rolled downhilll towards Miyun with a westbound freight on the last day of November 1992.